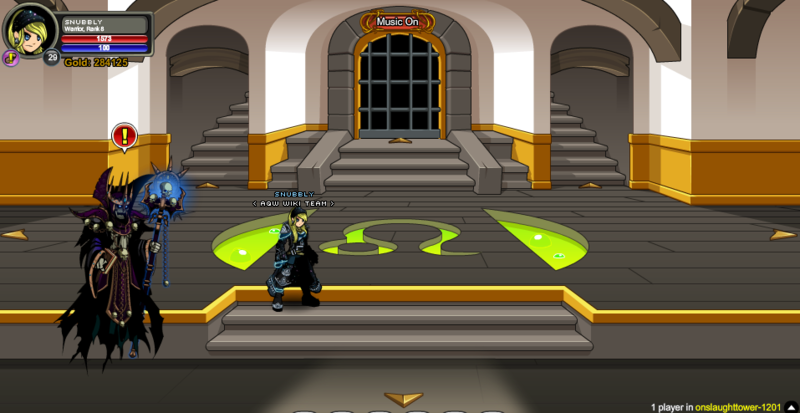 The fortress of Maximilian Lionfang and his Golden Onslaught soldiers. 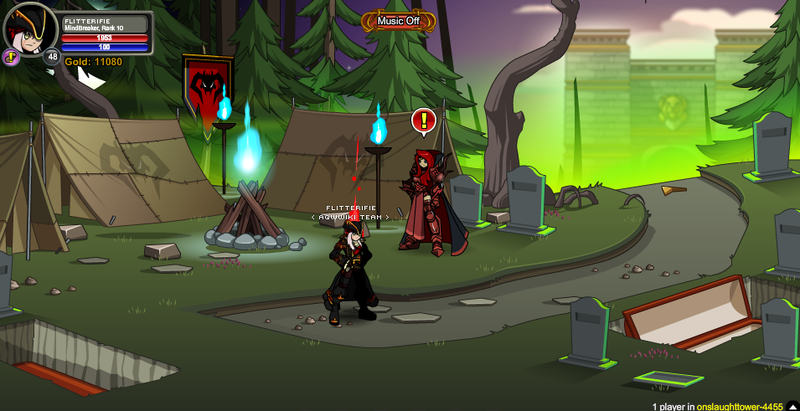 In order to pass Screens 2 and 3, you must equip Undead Fighter (Temporary) / Undead Mage (Temporary) or complete the 'The Local Locale' quest. 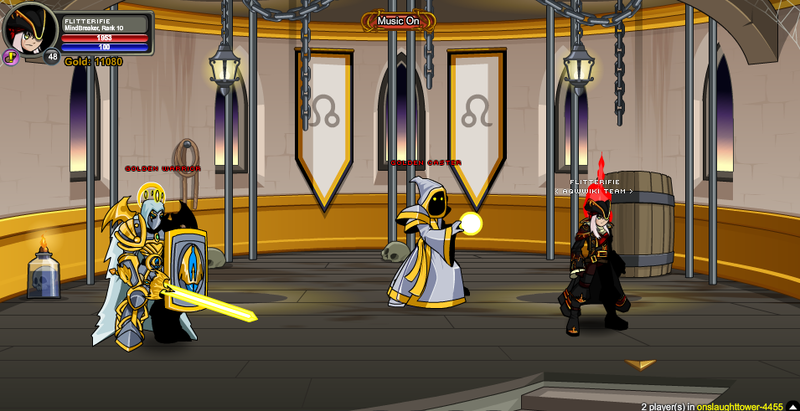 Also see Lionfang War (Location). 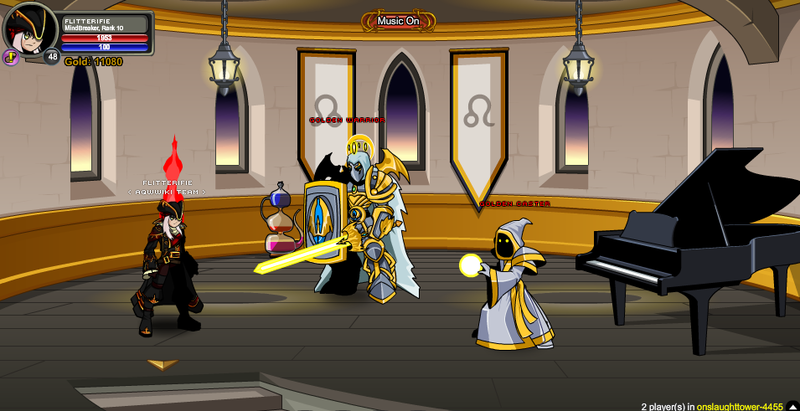 Note: You must defeat each monster to proceed to the next room. Note: Must have completed the 'Leave No Rug Unturned' quest to access this screen. 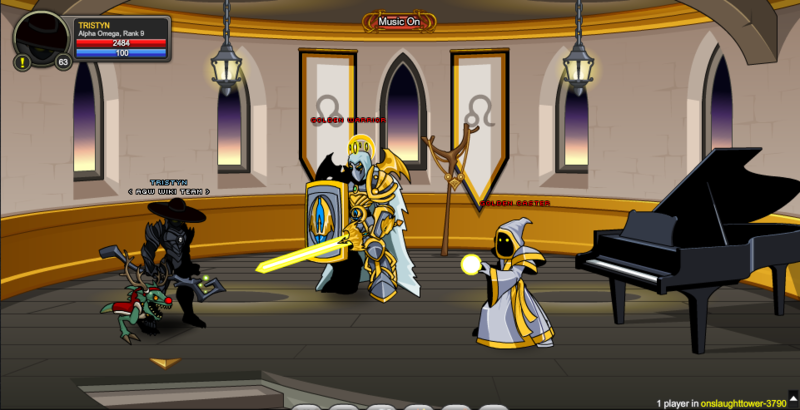 Thanks to Flitterifie, Jasrielnulgath and Xia.